If your bathroom is cramped and cluttered, improperly lit, or just plain ugly, it’s time to consider remodeling your bathroom. They are often built around basic, standard grade fixtures and the layout is chosen by the builder, not the homeowner, so it doesn't really fit your needs. T.W. Ellis has an outstanding remodeling and design team with the skill, knowledge, and creativity to build the perfect bathroom for your home. We want to create for you a bathroom that is designed around your needs and daily routines, and one that will match your style perfectly. In other words, T.W. Ellis can help you have the bathroom you want to show your guests. 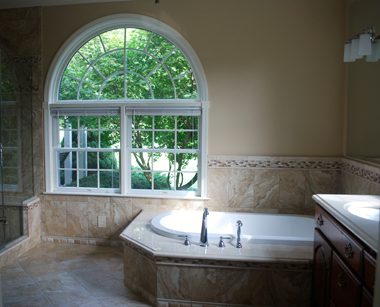 We provide top-quality bathroom remodeling for homes in Forest Hill, Bel Air, Towson, Sparks, and throughout the Baltimore area. When you’re ready to discuss your next bathroom remodeling project, you'll probably want to determine a budget and make a list of your needs and must-haves. Be sure to include any special items you would really love, such as a storage vanity, curbless shower, or even heated floors. It is important to these things before you discuss your bathroom remodel with any contractor. However, by having a wish list, you might be surprised how easily we can incoroporate certain items without a lot of added cost. Bathroom remodeling tends to be a favorite project because it is a small project by comparison, while providing the greatest return on your investment. Besides, who wouldn’t want heated tile floors or a luxurious, multi-head walk-in shower? Do I need a home remodeling contractor to remodel my bathroom? Although your bathroom is probably small, at least compared with the other rooms in your home, there is a lot to consider when remodeling a bathroom. By hiring a qualified home remodeling contractor, you can avoid a lot of the pitfalls that homeowners and inexperienced contractors fall into. Plus, our designers can suggest better solutions to meet your goals and recommend options you may never have considered. And a design/build firm, like T.W. Ellis, can take your needs and requests, design a bathroom that works perfectly for you, and ensure it is built to the exacting standards your home deserves. Bathrooms are functional and as such, each aspect of your bathroom should be designed to meet a specific need. To better illustrate this, we have listed just a few of the items below that you might consider. Even if your bathroom is small, many of these items can be incorporated into your new bathroom design. 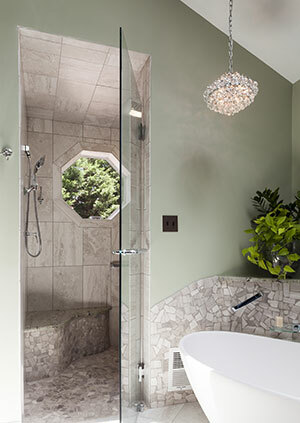 You may also consider giving up underutilized space to gain a larger bathroom with more features. T.W Ellis has a number of award-winning projects that showcase the top quality skills and craftsmanship our designers and contractors are know for. We are also known for “Green Remodeling,” incorporating high-efficiency practices into many of our projects. Tim Ellis, president and owner of T.W. Ellis, is certified as an Aging in Place Specialist by the National Association of Home Builders and can ensure your new bathroom is ADA compliant if needed. Other important credentials include Leed and EPS Lead-free certifications. It doesn’t matter whether you want to renovate an existing space, remodel or expand a room, or add an new addition, T.W. Ellis can design and build the perfect bathroom for you. We can provide custom cabinetry, high-quality flooring options, seamless glass showers and so much more. T.W. Ellis is based in Forest Hill, Maryland and have been remodeling homes in Harford County and most of the cities around Baltimore, including Bel Air, Pikesville, and Havre de Grace since 2002. If you live in this part of Maryland and need a home remodeling contractor, T.W. Ellis would love to help you with your next project. Fill out our Get Started form or simply give us a call at 410-420-0740 and let’s get started making your dreams come true. Bathroom remodeling in Forest Hill, Bel Air, Bel Air South, Baltimore, Pikesville, Towson, and throughout Harford and Baltimore Counties.